Meet the set of wheels that is taking New York by storm! Andrea Dalzell is the newest member of the nursing community, and a pioneering activist for people with disabilities. She is a force to be reckoned with, and has emerged victorious against all the obstacles in her path. Transverse Myelitis left her paralyzed at the age of 12, but she did not allow her disability to become or define her. 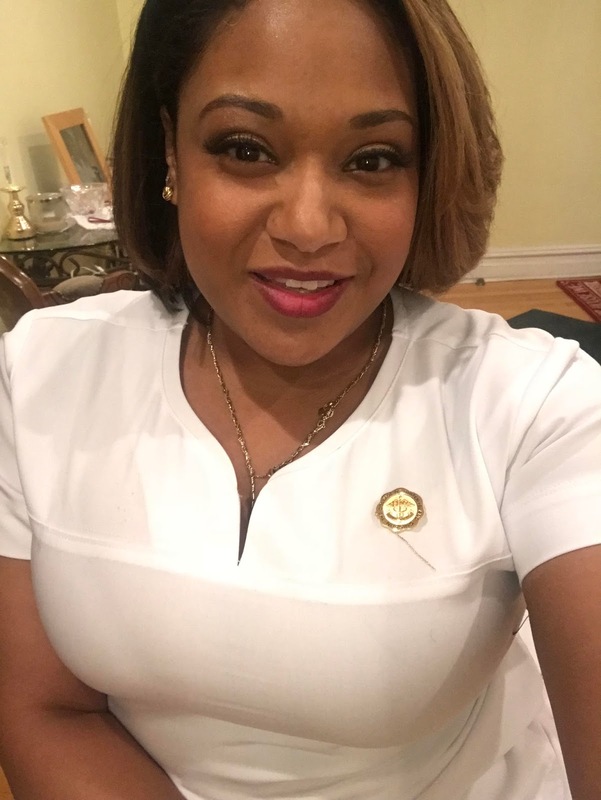 Andrea completed an undergraduate degree at the College of Staten Island majoring in Neuroscience and Biology; and Nursing. As an advocate and activist for the rights of people with disabilities, she's garnered various awards. She was awarded CUNY’s Emerging Leader of The Year Award and also received the Cindy Loo Disability Rights Advocate Award in 2015. Aside from being a student, and juggling her career, she finds the time to travel and spread awareness for issues that affect people with disabilities such as housing, transportation, healthcare, and accessibility- amongst many more. Andrea was crowned Ms. Wheelchair NewYork 2015, and utilized her title and platform " Life, Liberty and the Pursuit of Access" to promote her message and belief that people with disabilities can live a fulfilling life. She has been featured in O Magazine, Arise TV, and other publications/media outlets. Her latest work was Apple, where she inspired the innovative addition to the Apple Watch to track pushes instead of steps for everyone who uses a wheelchair- as a part of tech inclusion. She is truly a rising star; so keep a eye out for her growing success. mW: What type of work have you done in the past? AD: I have worked so many jobs since the age of 15. I started with a retail store where my friend’s father believed, if I got at least one major retailer to hire me, I wouldn't have any problems finding work, as I got older. From there, I went onto intern at a state senator, J.L Sampson's office and then went into an interior design firm. That office gave me the skills that I needed to take on retail again but in the technology world. I learned everything that I needed to know about computers and new technology which convinced me that becoming a doctor, from the seated position, was possible with the right technology. mW: What or who inspired you to become a nurse? AD: I was adamant on going to medical school. 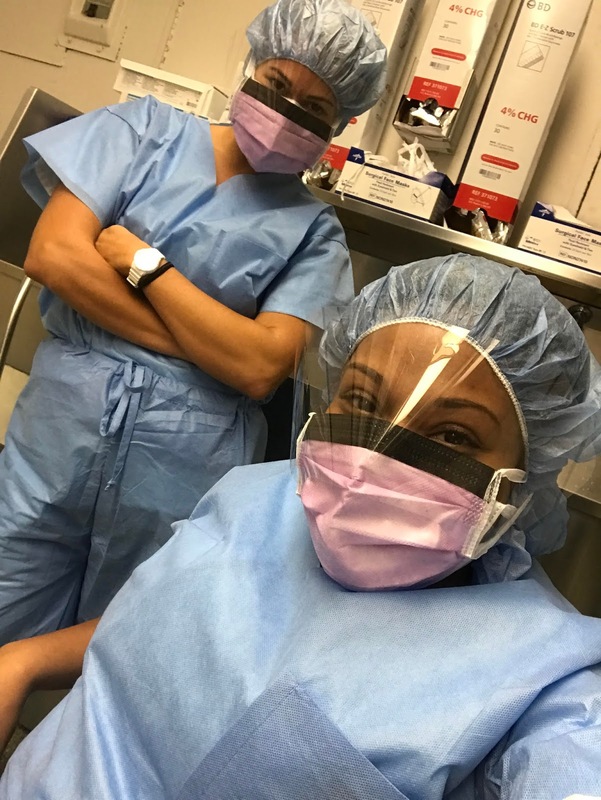 I knew that I wanted to have MD at the end of my name and I was preparing to take my medical school entrance exam, when a friend told me to come and sit in her med school class. After that, I shadowed a few doctors. I knew that I didn't want to ever have to tell anyone that they wouldn't walk again nor that we had no clue what was going on with them. I knew that I wanted to be in healthcare and remembered the nurses that always supported me and gave me hope, throughout some of my own health lows. It took me a year from that decision, to take the nursing school entrance exam and another year to actually submit my application. mW: Was it hard to get into the nursing program? AD: This question depends on the type of person you are. I don’t take “no” for an answer! I picked a college where acceptance was based on grades and not an in-person interview. MY entrance exam score was higher than the average and my prerequisite classes all held A's so I knew I would be in the running for a seat. Mw: Was the school and others encouraging? AD: I wouldn't say encouraging but definitely a learning curve. 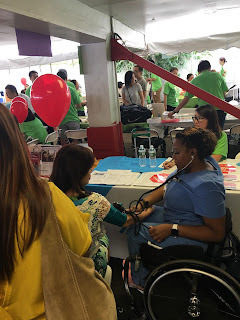 It’s a rare sight to see a nurse in a wheelchair. I had to continuously prove myself to the clinical staff and to professors that seconded guessed my ability, because of my chair. I was lucky that my peers never doubted me for a second and I believe that is because they would see me drive up to the building. mW: Were there any special concessions to enable you to participate? AD: No, there are no concessions in nursing, at least not at my school. You have to figure out how to get the task done correctly and keep the patient and yourself, safe. You are the at the front line of health care so knowing your ability and being 30 steps ahead, is a constant. Any error can risk a life so concessions at this stage aren't made (unless you're talking about getting accessible parking at certain clinical sites). mW: What are your favorite aspects of nursing? AD: My favorite part about nursing is the ability to be a patient's coach. As a nurse you know what is changing because we are with that patient much more than the doctor is; that bond and sense of trust built between a patient and a nurse is powerful and it means a lot . mW: What parts of nursing do you find challenging? 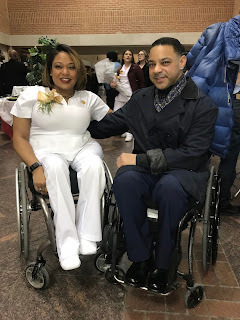 AD: Honestly, all of nursing is a challenge from a wheelchair but I've been up for the challenge! Things are always changing - you really have to know and be honest about your limitations and ask for help, when needed. Nursing is a team effort. Not only am I constantly learning, I am constantly thinking about how to get a task done to the policy requirement of healthcare and within my own limits. Others are quick to ask how will she be able to do CPR or transfer a patient? CPR is all about what you can physically do. I took up boxing to be able to have the upper body strength that I needed to be able to do compressions. Transferring a patient or assisting a patient to walk would be a limit where I would need help and I ask for the help, when needed. This is where building friends within the nursing team, helps! mW: What advice would you give other mobileWOMEN considering a nursing career? AD: GO FOR IT! Don't let doubt or anyone tell you that you can't do something. Nursing school is just the beginning, the career of nursing can take you so many different places, aside from a hospital. Do your research, ask the tough questions and be honest with yourself about your limits. Know what you can and can't do and what you are willing to work on to be able to do. Remember that nursing is about the lives you touch, not just yourself. mW: Any other comments that you would like to share? AD: Every experience is different. Measuring yourself next to anyone won't help. You must believe that it’s possible, never allow anyone to tell you different. With that comes hard work and dedication. Nothing worthwhile is easy. I can't tell you how many nights that I doubted if I was going to finish nursing school or how many people questioned my ability.